A musician once said: ”It’s such a fine line between stupid and clever.” That line is definitely blurred in the case of The Modern Times. The songs purvey adolescent ignorance or poignant satire, or maybe both – it probably depends on the listener. This hybrid of jangly and jagged post punk, snotty punk rock and garage-infused power pop hardly sounds like anything out there these days. This is also much to the credit of singer Magnus Vold Jensen’s unique and incisive delivery. With their sophomore album, Algorhythmic Dance Music, The Modern Times have signed up with Black Pop Records and upped their game to boot. The record sounds like confused Gang of Four-members arguing with Parquet Courts while The Hives beats them both to the bar. Or something like that. 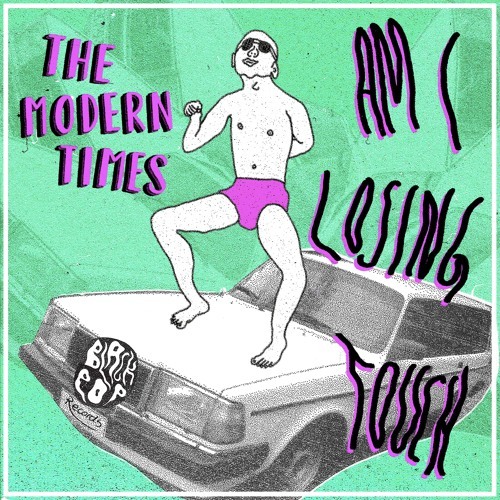 The Modern Times released their debut This Is The Modern Times in 2017, to widespread critical acclaim in their native Norway. Constant touring followed the record release, and the gang has built a reputation as a notoriously rowdy live act, converting non-believers to die hard fans mere seconds into each show.